Our 123-acre, fully accessible camp in Hackettstown, NJ offers year-round programs in a beautiful setting that is both safe AND fun for children and adults (6 – 96+). With the support of our dedicated staff we provide activities that encourage inclusion and bring campers together in a way that promotes personal growth and accomplishment. Our overnight camp allows for weekend, full week, and two-week sessions all year long. It’s a time for campers to bolster their self-esteem and independence while having fun. This allows caregivers to take some time for themselves while knowing their loved one is both safe and making memories that will last a lifetime. Camp Merry Heart will only be accepting online camp session registrations. 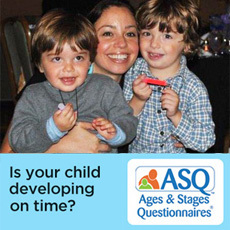 This link app.campdoc.com/register/eastersealsnj will give you access to create your application. Below you will find the application worksheet that will guide you through the process along with a 2019-2020 Camper Handbook! Check Out Our Camp Merry Heart Videos! Do YOU Have a Heart for Camp Merry Heart? Easter Seals’ Camp Merry Heart is one of few camps that accommodate both youth and adults with disabilities. Due to government cutbacks, many campers will not be able to afford camp this year and we don't want to turn anyone away. Can you help? 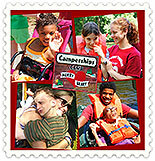 A gift of $1,100 will provide a full week of meaningful recreation at Camp Merry Heart for someone with a disability. 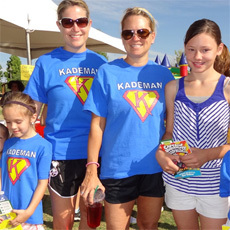 $575 will provide a weekend camp stay and much-needed respite for fulltime caregivers. 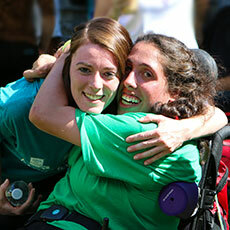 $100 will provide partial assistance needed to send someone with a disability to camp. Any gift you are able to give enables us to provide Camperships by helping to defray the costs that cover accommodations, supplies, meals, and staff that are needed to provide campers with these important life-changing experiences and opportunities that are not available at traditional camps.